The lure of the unknown, a lust for adventure and the fear of missing life’s chances if they’re not grasped when offered, are just a few of the reasons why adventurers and explorers have stretched the bounds, and themselves, throughout history. 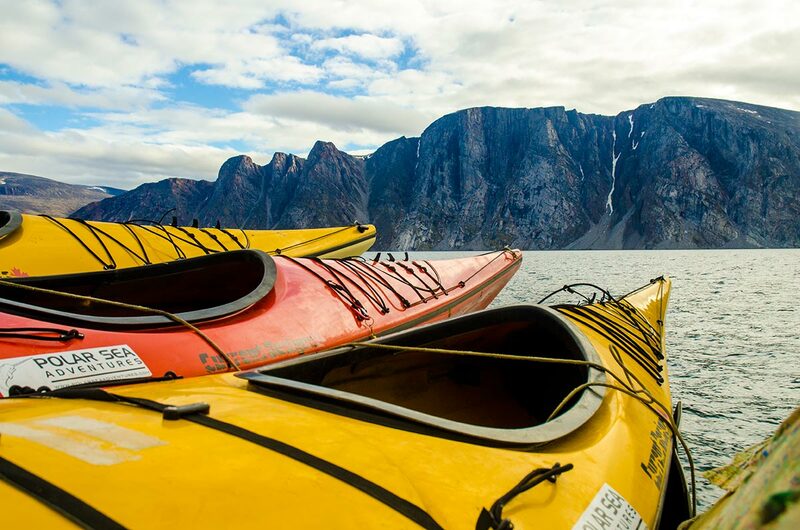 I’m not labelling myself an explorer by any means—but I must admit, all these feelings definitely came to mind when I found myself heading to Pond Inlet for a couple of weeks of sea kayaking in some of Canada’s most remote and spectacular scenery. My Arctic odyssey began in Nunavut’s capital, Iqaluit. Located on Baffin Island, I spent a few days exploring the city and gathering some last minute items before continuing north to Pond. I had read that it was in Iqaluit—formerly known as Frobisher Bay—that Thanksgiving was first celebrated in North America. In 1578, famed English explorer Sir Martin Frobisher stopped in the shelter of the bay to pay thanks for his expedition’s survival. Frobisher was among the first to seek a long-fabled northern route to the Pacific Ocean; a quest that is central to so much of northern Canada’s early European history and modern identity, and one that I found shadowed much of my own travels throughout the coming weeks. 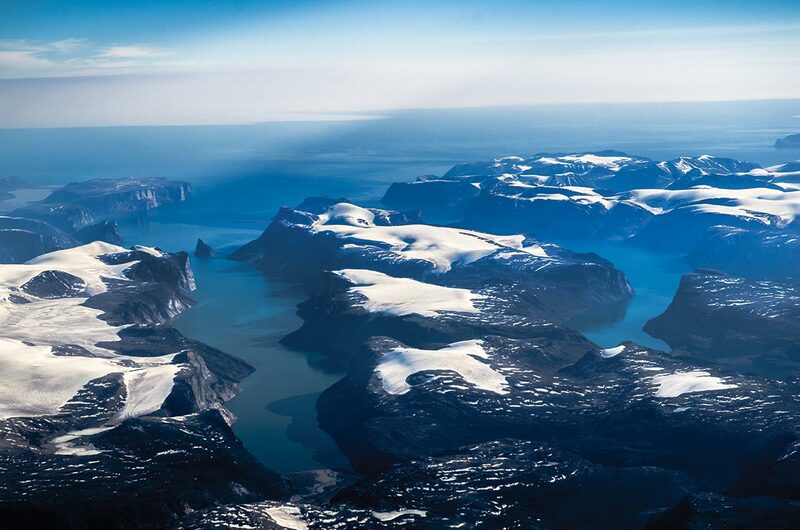 Baffin Island is the fifth largest island in the world, and unless you have the time to circumnavigate its more than half-a-million square kilometre area by sea, the only option is to fly. I boarded my First Air flight for the 1,100-kilometre trip northwest, and was quickly lost gazing out of the window at the stunning scene below. I’ve been fortunate to have travelled to many beautiful places all over the world, but the flight from Iqaluit to Pond Inlet was one of the most picturesque I’ve experienced. Soaring over incredible glaciers that resemble lava pouring through the low valleys into the fjords, I couldn’t help but wonder what inspired early explorers like Frobisher and William Baffin—who in 1616 was the first known European to visit the region north of Iqaluit—to venture to and through these rugged lands. No trees or shelter of any kind, a food source that’d take a lot of creativity to sustain—sheer survival, as a daily concern, would have dogged them relentlessly. The jagged land and ice-clogged rivers and bays that slipped by beneath me would be challenging even in summer, with constant daylight and a hint of warmth; but in the bitter cold and eternal darkness of winter, it seemed unimaginable. As the Inuit here and other ancient northern dwellers have proven over several thousand years, it can certainly be done—but only with determination, skill and some serious know-how, some of which I hoped to learn over the coming weeks. Flying over the mesmerizing north. We passed over snowcapped mountains before beginning our descent into Pond Inlet, regarded by many as among the most picturesque of Arctic communities. I never imagined I’d find myself here, but then again, I suppose most everyone who wasn’t born in the Canadian North may have thought that at one time or another. 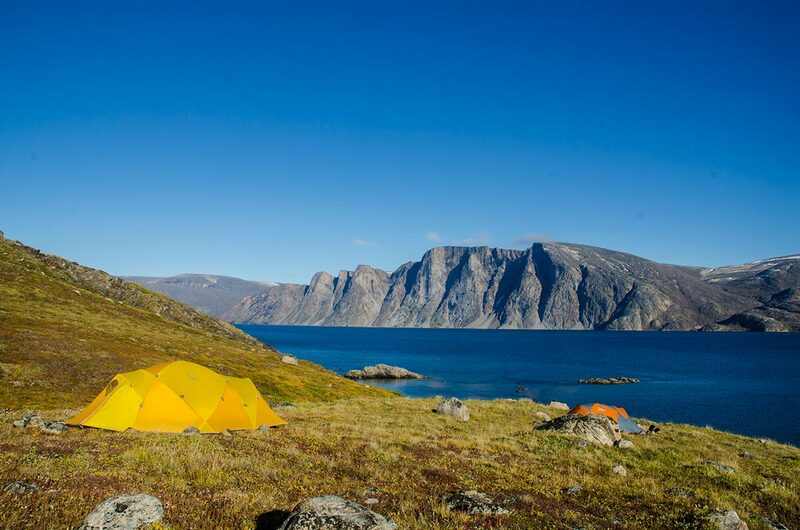 Pond Inlet—or Mittimatalik in Inuktitut—is the northern-most town on Baffin Island, sitting on the saltwater shores of the meridian blue Eclipse Sound, just across from the spectacular snowy mountains of Bylot Island. 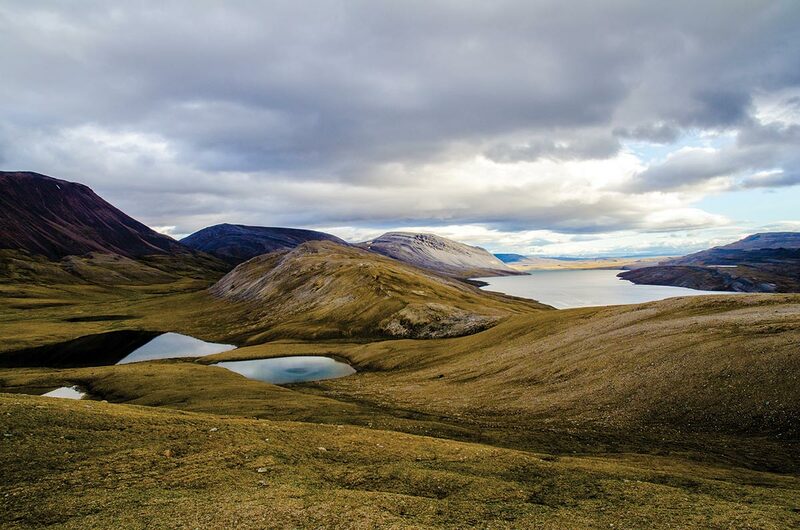 Located more than 600 kilometres above the Arctic Circle, Pond is a long way up even by Nunavut standards, and with a population of 1,500 it’s the largest of the four communities above the 72nd parallel. In 1818, Scottish naval officer Sir John Ross was dispatched to the Arctic to lead the latest in a long list of expeditions to find a Northwest Passage to Asia and beyond. The quest for the fabled sea route had begun several centuries earlier as an alternative to sailing south and west around Cape Horn in southern South America, or east around the Cape of Good Hope in southern Africa. Ross’s party sailed up Baffin Bay and into Lancaster Sound, and named the area across from Bylot Island after the Astronomer Royal, John Pond. Ross continued west, but found his quest for the Passage blocked by a line of mountains. Alas, later efforts proved that the mountains were an optical illusion caused by the peculiar phenomenon of the northern sunlight. Ross had been beaten by the elements, and only minimally bettered the progress of his predecessors. Pond Inlet must have been every bit as awe-inspiring for him though, as it now was for me. Rugged and pristine landscapes abound across Pond Inlet. I couldn’t help but reflect that standing on the wooden deck of his creaking ship the Isabella, he’d likely have looked at the surrounding mountains and spectacular water with much the same reverence that I felt as I stepped from my aircraft. Perched on the water’s edge and hemmed in by rugged wilderness, Pond is a place many would only see as cold and desolate, but one I would soon discover had more beauty than just about any tropical island I’d ever seen, any sunset I’d ever experienced. Not many travellers make it to Pond Inlet. There’s the occasional cruise ship conducting its own search for the Northwest Passage, which must clear Canada Customs at the RCMP detachment before it can venture ashore. And a few hardy souls who come for some trekking, photography or sea kayaking. Otherwise, it’s blissfully and perfectly untouched and warmly welcoming. 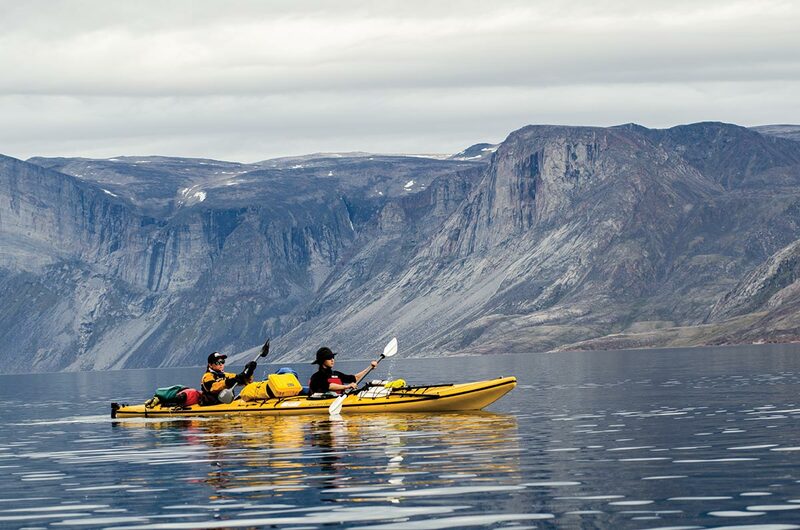 Once settled, I met up with the small group of sea kayakers with whom I would spend the next several days floating around the magically symmetrical fjords of the eastern Canadian Arctic. I realize this sort of adventure isn’t for everyone; but for those who are drawn to the rugged edges of our country, who want to test their mettle or indulge in the wonders of the North, this is a slice of heaven. My fellow paddlers were from Canada and the U.S., and all were kindred spirits. Each was an explorer in their own right; each was on a personal quest of some sort. It’s hard to pinpoint what draws people to this part of the planet—but this was my third time in the Arctic, and I had already learned that one common denominator there was that everyone I met had a story to tell, almost more so than anywhere else I know. 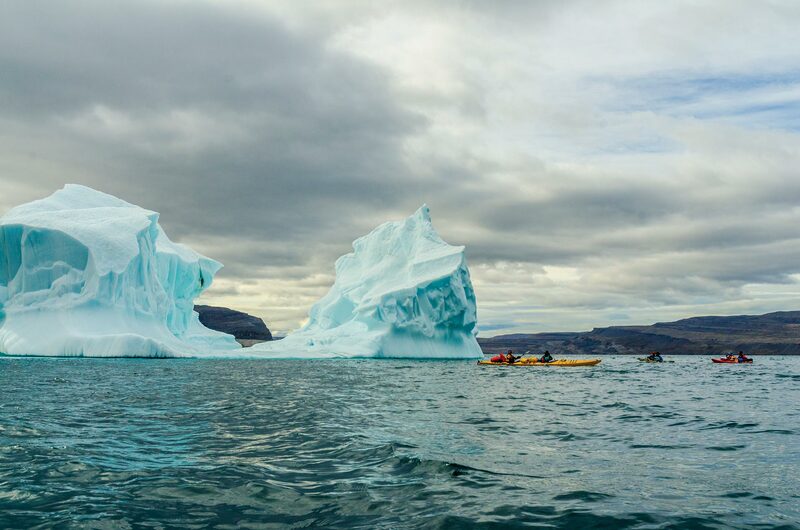 Kayaking the chilly blue waters of Pond Inlet, Nunavut. Our guides on our paddling trip were from the Black Feather Wilderness Company. Steve was a superb kayaker, expert navigator and enthusiastic Arctic explorer, with years of experience throughout the North. He greeted us with a smile and a firm, confidence-inspiring handshake. He’d led a number of trips in this part of the world and knew all of the best camping locations. Bella was also an experienced guide, but this was her first time around Pond. We soon found out, however, that from extensive trips to other parts of the globe she was no stranger to living and adventuring on the land. Before we headed into the wilderness I was determined to get a haircut. It’s not that I yearned for a new style—just that things had been rather hectic before I’d headed north and I was now sporting more hair than I cared to carry in my kayak. Sadly, Pond doesn’t have many salons or stylists, but after a few enquiries I was recommended to someone. “I was told you cut hair?” I hesitantly asked, to the kind clerk at the Co-op store. We struck a deal, and I followed the directions to her house. Halfway through the trim she downed her scissors and threw on her coat. “Where are you going?” I asked, worried I’d said something to insult Pond’s number one stylist! Feeling several pounds lighter, I rejoined the group, and we all checked our gear to ensure we had everything needed for the trip. Black Feather provided the tandem kayaks as well as all the cooking and camping gear and food supplies, but it was important that everyone had adequate clothing and any necessary personal equipment. Soon satisfied, we made our way down the hill to the beach where we were to meet up with our captain and boat out to our launching point on Curry Island. As evening rolled by, we settled on the shore waiting for our lift. Bella laid out some snacks and soon we were surrounded by Inuit children, fascinated by us, our kayaks and gear, and by Bella’s treats. At 11 p.m. I glanced at my watch, and it finally dawned on me why this place is known as the Land of the Midnight Sun. The light was absolutely breathtaking-it wasn’t a sunset, but it was by far the most inspiring sunlight I had ever seen. A giant ball of plasma circled the sky but never completely dipped beneath the hovering mountain peaks. Earlier that morning, as I was waiting at the Iqaluit airport for the flight north, I had met a woman waiting to board the same flight. Reflective waters call for moments of reflection. It’s hard for us who live in the south to appreciate just how significant that event is. With months of complete darkness followed by months of total daylight, the hint of a sunrise or sunset is a big deal—much like that first breath of spring after a harsh winter, or a cooling breeze after a spell of intense summer humidity. Out in the bay a large container ship sat at anchor. It was one of the two or three such ships that sail to Pond each year during the brief summer window to cart up a year’s worth of supplies—everything from building materials and spare parts, to food supplies and clothes. The Sealink’s precious cargo was being shuttled back and forth by a flotilla of barges and other boats. As we zipped across the water to Curry Island, almost racing atop a perfectly calm surface, the spray off the aluminium boat hull shone like diamonds against the sun’s golden light. Small icebergs sat still and low in the water—magnificent—prompting double takes as we eagerly scanned the area for polar bears. I was desperate to see a polar bear in the wild, and never for a moment over the coming two weeks did I stop surveying the surroundings for a glimpse of that coveted white fur. Seeing and photographing a wild polar bear is at the top of my bucket list, and I was willing us to encounter one. Well, during the day, at least. Every night during our paddle I kept (in order of importance) my camera, another camera and bear spray on the tent floor beside my sleeping bag. When awake, I would lie there listening to every little sound in wonderment, half willing and half fearing, remembering what I had been told on an earlier trip to the Arctic. After several hours crossing to Curry Island, we finally arrived at the mouth of White Bay. We got all the kayaks off the boat, unloaded the gear and began setting up camp along the shoreline, as our connection to civilization turned and headed back to Pond. Steve pointed out the remains of a nearby ancestral Inuit settlement. Human remains near an old sod house. The Inuit and their forebears have hunted these regions for thousands of years, and we soon leap. After exploring what was to be our camp for the next few days, I was suddenly overcome with tiredness. I looked at my watch—it was 3 a.m.! With the sun always up I’d lost all track of time, and suddenly realized we were well into pulling an involuntary all-nighter. And so I bid everyone a good night, and headed for my tent. The gentle sound of water lightly splashing over the pebbled beach awakened me a few hours later. I lay staring at the canvas roof, when quite suddenly an unmistakeable sound roused me from my stupor. It was the blow of a whale. I grabbed my camera and dashed from my tent, scanning the pristinely calm water for the source of the sound. The bay was mirror-like, and perfectly reflected the sky and mountains. There, in the centre, was the unique shape of a lone narwhal, one of the wildlife targets of our trip. 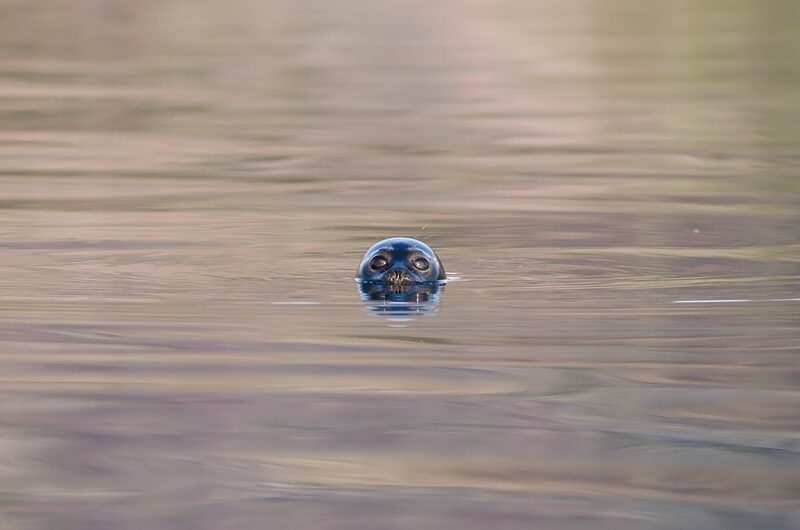 It was about half a mile from shore, its rounded head sticking up from the water, the tip of its tusk breaking the surface further ahead. I shot off a few photos while feeling an overwhelming sense that I was, without doubt, exactly where I wanted to be. 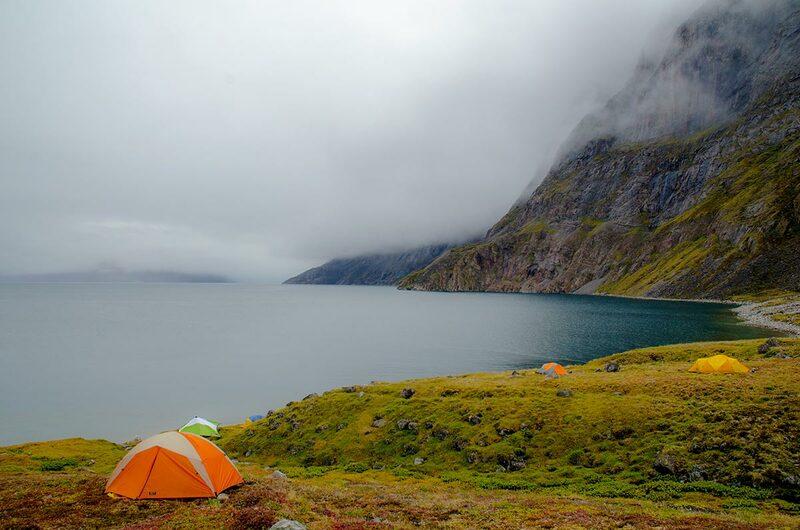 Waking up that early morning, albeit without much sleep, and stepping from my tent into that glorious Arctic amphitheatre to sight my first-ever narwhal, was one of the best experiences of my life, surely something I will never forget. Narwhals have captured the imagination of explorers and Inuit, adventurers and photographers (including my own!) for as long as time has existed—or so it feels. In the medieval age, the long spiralling tusk of the creature found only in Arctic waters was thought to belong to the unicorn. So coveted was it that its value was greater than that of gold. Some thought it held magic powers which could cure all ailments, or if carved into a drinking cup could defeat any poison served within. Inuit legend tells that the narwhal’s tusk was created when a woman was dragged to the ocean floor by a harpoon rope entangled around her waist. She herself became a narwhal and her long, braided hair its legendary tusk. At that a burst of adrenaline shot through me—at just the thought of paddling alongside a swarm of these mysterious, fairy-tale-like creatures. Narwhals are shy and will avoid kayaks, Bella and Steve explained. If we were to see any more it would likely be from shore, like the one I had seen early that morning. My blood slowed at that, but I still held out hope we would get lucky in the water. With the sun bright in the sky and the weather calm and hospitable, it was hard to comprehend how this serene land could be as treacherous as history would suggest. Perhaps the most famous effort to find the Northwest Passage was the final voyage of Sir John Franklin. At the age of 59, the veteran explorer accepted an offer to lead another expedition to find the fabled route. Arguably the best equipped one to date, his ship left England in May of 1845 and was last seen moored to an iceberg in Lancaster Sound several months later. It’s now believed Franklin died off King William Island in June 1847. Despite great support and experience, the winding waterways, towering mountains and harsh and unpredictable weather of the Arctic had taken its toll again, and kept safe the secret of the Passage. Franklin had likely passed not very far north from our very position now on Curry Island. It was a sobering thought, and one never far from my mind as I paddled the idyllic-looking but oh-so-testing waters. Even on the nicest of days, I realized that if you don’t maintain a generous respect for the land up here it can swallow you up with its sleeping giant attitude, just as it did Franklin and so many others. 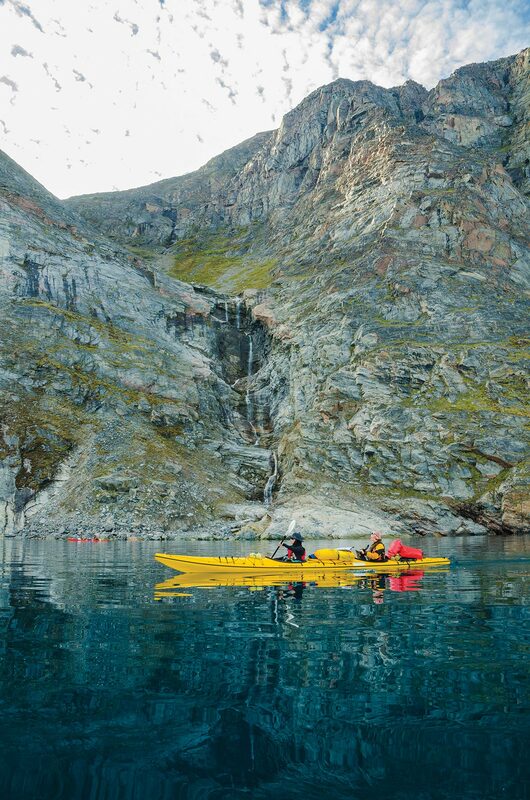 We prepared our kayaks on the shore and pushed into the perfectly pristine waters of the Arctic Ocean. Our first target was a towering iceberg across the bay, and with cameras cocked and ready we headed out to try to capture its majesty. Halfway there, we not only realized that the iceberg was a lot farther away than anticipated—but it was also much, much larger. Kayak leader Bella at home base. With several seals now popping their noses up from the water—but only high enough to see us clearly and just out of our direct line of sight—we soon realized we were not only being watched but followed. Curiosity must have overtaken our new friends, because they had begun to edge ever closer to us. I assumed they don’t usually get many visitors and that we were a big deal for them. Strangely, the longer they followed the more comfortable they seem to be, so that before we knew it the distance between us and them was only a few metres. Circling the immense iceberg at a safe distance, I was flabbergasted by the sounds of water melting off of it in the midday sun. 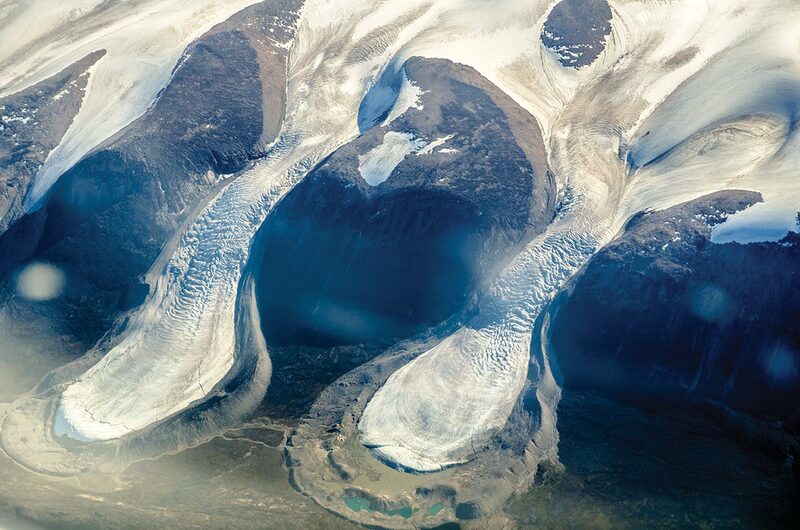 Like little rivers carving out valleys and grooves, the water ran down the surface of this ancient Goliath and into the saltwater Arctic Ocean, causing a sort of brackish soup to surround the iceberg. I’d seen icebergs before, but never had I been so close that I could feel a dramatic change in temperature, let alone hear them melt! So worth coming to the Arctic for. All too soon it was time to head back to camp to eat, relax a little, and talk about our plan for the following day. 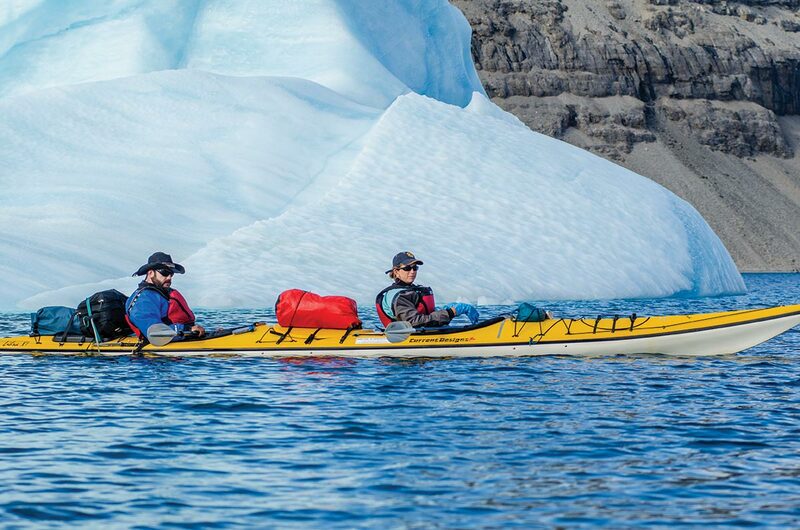 Our big tandem kayaks were not only taking us past seals and icebergs but were also transporting all our supplies and equipment. Packs were lashed to the tops while gear was stowed within. The result were backbreakingly heavy vessels that had to be hauled into and out of the water each day—but which, once afloat, coasted easily. With little available along the way, we had stuffed our kayaks with enough fresh, dried and freeze-dried food to satisfy a small army—or at least a small kayak-borne navy. 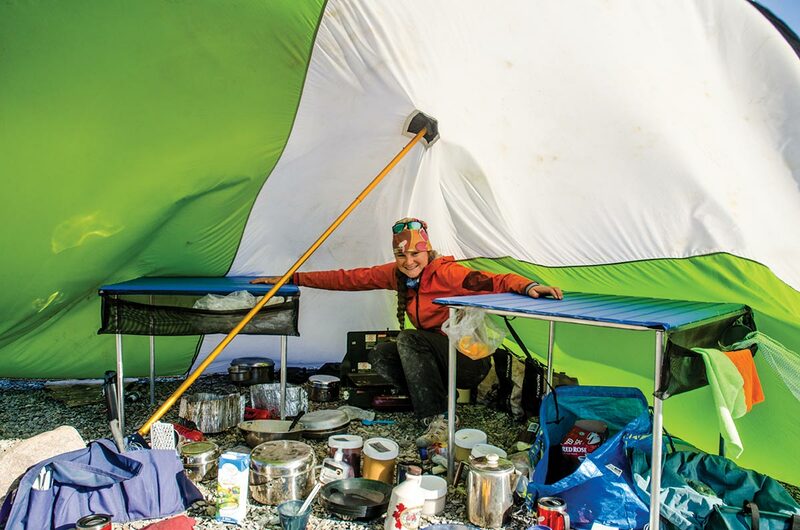 Steve and Bella never failed to impress us with their creativity and skill, and we were soon all enjoying satisfying and tasty meals huddled around their camping stoves. To smell freshly baked bread while resting on an Arctic shoreline, gazing at distant mountains or the rippling wakes of seals, almost defies imagination and description. Oh, what Franklin’s men would have done for some of Bella’s baking! “We’ll try our hand at fishing as well,” Steve said, as we tucked into some pesto fusilli. “There’s no fresher fish in the world than up here.” (From past Arctic experience we knew that to be true!) Steve and Bella, if ever presented with a Top Chef challenge of the North, would crush the competition! It’s common practice when camping in the Arctic to string an impromptu and electric tripwire around your camp to deter unwelcome visits by curious polar bears. Or at least to forewarn of their arrival! But with strong winds now whipping in from the water, any thought of rigging the sensitive alarm system was quickly forgotten. Instead, we decided to just remain alert throughout our temporary nightly homesteads. Our campsites were often set for a few days, enabling us to use them as base camps from which to explore the area by land and by water. On all but two occasions we found ourselves in exactly the same spots as ones used by Inuit of generations gone by. Partly because they were the best around, sheltered as they were from the worst of the wind and with easy access to the ocean; and partly because despite a sort of mind-numbing isolation and sense of vast aloneness, this land was actually well trodden by millennia’s worth of humans. Enormous gulls and wheeling gyrfalcons soared overhead as we trekked overland, marvelling at waterfalls, spectacular seaward views and more evidence of human presence. More and more treasures uncovered themselves to us over the course of our travels, as the light penetrated shadows and revealed different angles and artifacts. Rock circles, sod huts and human remains seemed to be everywhere. Steve estimated that one settlement was only a few hundred years old due to the presence of metal and wood. Hundreds of miles above the treeline—save for dwarf willow and birch, which are nothing more than low scrub up North—the mere presence of a wooden plank or board immediately establishes a date for a settlement, since it signifies Inuit interaction with traders, whalers or explorers. Despite our weatherproof tents, warm clothes and modern gear, it was hard not to feel a sense of unity with the people who had travelled these lands before us. Whether sheltered by the best that technology has to offer, as we were, or the time-tested sod structures of our predecessors, it was impossible not to feel insignificant, vulnerable and humble. One day I finally decided it was time to try my luck fishing. With rod and reel in hand I spun my line—these northern waters teem with life and are particularly renowned for their huge and mouth-wateringly tasty Arctic char! Alas, I caught nothing more than a few small rock cod and a tiny, itty bitty char. With a well-laid plan of attack, every few days our diverse group of paddlers set out for the next campsite, and with any luck some whales along the way. Whether we had marine company or not, the experience never grew boring and every single day we had plenty to marvel at. It was hard not to constantly look up and around at the towering cliffs of ice that drift across such epic fjords. With glaciers capping most mountains, and evidence of snow from the periodic dustings of the peaks, our necks got a tad sore, but in a good way, from the jaw-dropping views. Like so much else during this voyage, it was something which never got old. Choosing a good campsite was crucial to our own survival. Although we had all our food with us, it was still important that we had access to fresh water at all times as well as a flat spot on which to pitch the tents, even if it meant we were scattered around occupying every piece of useable terrain in any given area. We once set up camp by a large Inuit settlement that was comprised of a number of structures. It seemed so untouched that it could have been dated from just the year before. But Steve pointed out evidence which suggested that no other human had set foot around these ancient sites for hundreds perhaps even thousands of years. 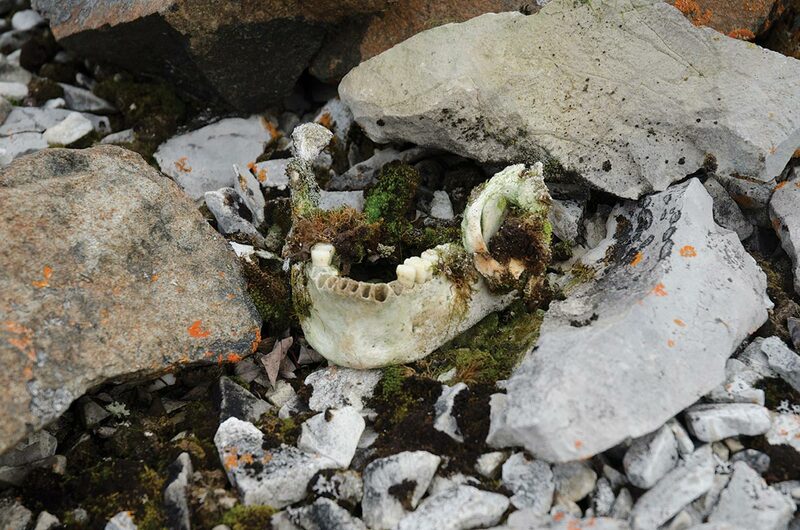 Whale and seal bones littered the ground, accompanied by the odd hare and even more rare polar bear skull. No sooner had we settled at camp one day than the weather took a significant turn for the worse. The winds picked up, whipping across the open tundra in strident sheets; the rain lashed down, totally uninterrupted; and high waves filled the bay, barring any thought of further progress on the water for the next while. Temporarily marooned, it was another reminder of the power of the North, and we settled down for an extended stay. “Come check this out,” shouted Bella, as we were preparing to set off to explore the area early the next morning. The weather had revealed the final resting place of one of the settlement’s early inhabitants not too far away from our kitchen tarp. An overwhelming sense of reality washed over me, as we stood in silence and paid our respects to someone who had lived and died on this very spot. I had revered the Inuit and early explorers long before I had ever made my first trip up North-but coming face to face with someone whose entire life had been lived up there, whose life had been spent fighting and conquering such rugged elements, was quite sobering. Reading of the early explorers, and the trials they faced simply to survive, was something I had only barely been able to imagine. The permafrost, the weather, the ice cold waters, the unparalleled force the North has over all its visitors and inhabitants, are healthy reminders of the respect we should all hold for this planet. In our busy, high-tech world, I have often found myself taking for granted day to day comforts and conveniences. But as I stood and stared at the remains of the person whose village sheltered us from the storm those days in the Arctic, I knew I would always respect the land. It was that respect that was key to the Inuit people’s survival and a lesson that I was determined to never forget. On our last day, our boat came to collect us for the return trip to Pond Inlet. We packed up our gear and disassembled our kayaks. The thought of hot showers and a warm bed were pretty compelling, but I also knew that I would immediately miss the challenges and rewards of the past two weeks. No matter where my future travels would take me, the lessons I had learned in our Far North would remain with me forever. This article was originally published in Outpost Magazine, March–April 2014. A professional photographer and filmmaker, Will has been travelling and expeditioning across some of the most remote parts of the world since he was 15, all while clicking away with his camera.